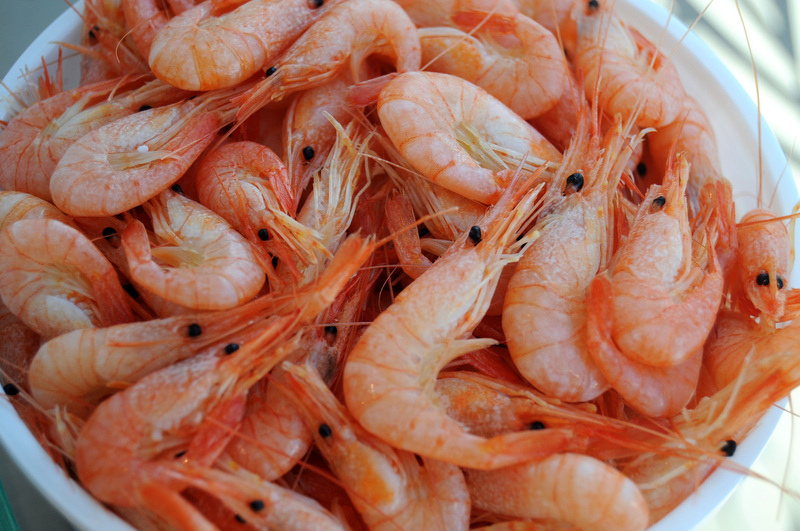 When it comes to shrimp, bigger is not better. The best shrimp in Portugal is tiny in size but large in flavor. It is caught just off the coast and brings in it the taste of the sea. We call it “camarão da nossa costa” (shrimp from our coast). Seating in a beachside café with a plate of these shrimps and a cold draft beer is one of the simply wonderful pleasures of life.